Now this is a weird one. 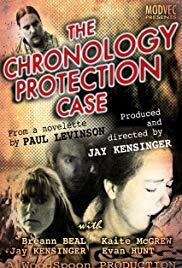 Based on a story written by Paul Levinson and released in 2002, The Chronology Protection Case has been re-edited and re-released. It's now in black and white with a newly shot ending featuring the same cast. Centering around the investigation of the accidental deaths of a group of physicists, TCPC plays out as a standard detective story, but more in the vein of Dirk Gently. And it certainly has a vibe of Final Destination to it, without feeling the need to see all of the squicky deaths. Levinson's story is most definitely science heavy in places, but not offputtingly so. The direction of Jay Kensinger (Deal) isn't without merit, but as a debut project you can see some of the looseness in the shots. That said, it's clearly a project of passion with most of the cast and crew being involved in little else before or after. 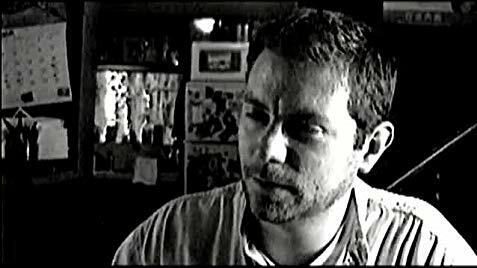 The standout performance goes to D'Amato played by the director himself, Jay Kensinger, with a definite nod to Evan Hunt as Jack Donovan. Limitations of the micro-budget may be the reason for the deaths to not be shown - I may never know - but it does also mean that without wacky FX the story is the crux of the matter. It's interesting - largely based in fact and actual scientific theorem - and holds your attention. It's a nifty story. There are only two gripes I would have about the whole. The first is the quality of the recording. It's a product of it's time with cameras for low budget indie fare not being what they are today - and then the transfer to black and white. It's extremely grainy to the point of being a little distracting in places. The other is the dialogue of the newly recorded ending. It's extremely modern and incredibly well written - to the point of oddness when seen in conjunction with the rest of the film. But also, I have to say the ending is now excellent - with the final shot of the film being one of the most memorable final couple of minutes I've seen recently. Having my cake and eating it, you might say. All in, if you dig slightly oddball detective stories, or you are in with hard science mystery this is definitely for you. It has a good run time at 40 minutes, with little action it manages to keep a good pace, but doesn't outstay it's welcome. Definitely worth the watch, it's on Amazon Prime now.